David E. Garland (PhD, Southern Baptist Theological Seminary) is associate dean for academic affairs and William M. Hinson Professor of Christian Scriptures at George W. Truett Theological Seminary, Baylor University. 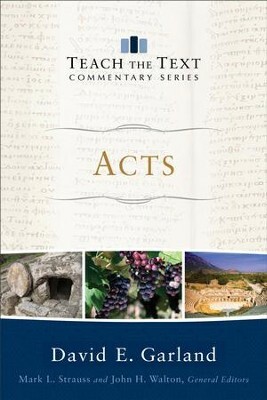 He is the author of numerous books, including award-winning commentaries on 1 Corinthians and Mark. I'm the author/artist and I want to review Acts (Teach the Text Commentary Series) - eBook.